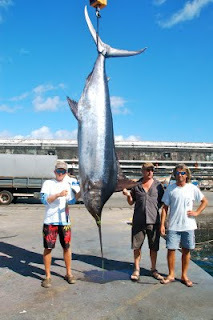 Today we fished Azores bank again. 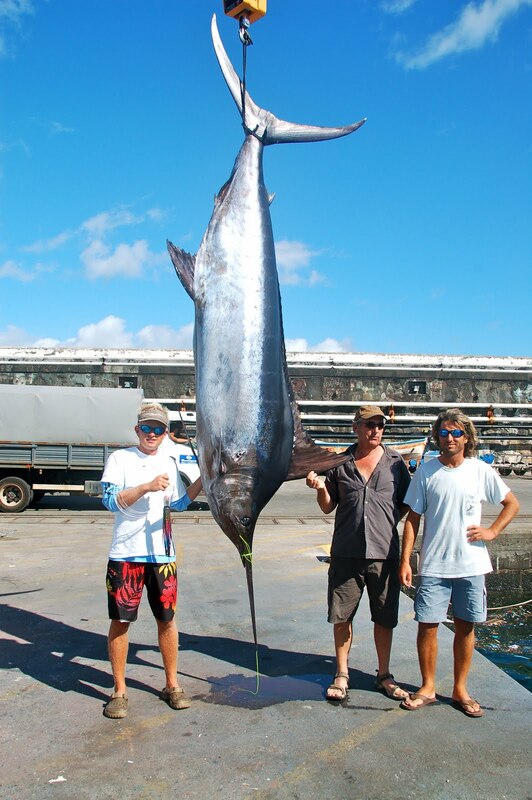 After 20 minutes trolling we hooked a blue marlin. The fish went in the dacron on the first run and didn´t jump at all. One hour later we had the fish around 40 meters close to the boat. But the fish stayed down and we had no chance to lift it up. Finally after 2 hours and 20 minutes we had the fish on the leader. It was in really bad condition and we didn´t think that it is going to survive, so we decided to boat it. The fish had 660lb and lure was again the Hot Breakfast. It was Steve´s longest fight with a fish and he did an excellent job. Congratulations to you!! !